Ever heard of deed fraud? It’s a form of fraud that has gone largely unnoticed in New York City in past years, but thanks to recent efforts to crack down on these crimes, two people have been arrested in the Big Apple since the program began in June. Two people may not seem like much, but when a single act of deed fraud could involve the mishandling of a $50 million property – it’s a good start. One of these fraudsters is Lasharan Amos – a 42-year-old woman who arrived at the New York City sheriff’s office in Queens last week to complain about how long the city was taking to give her ownership of a house that she had filed a property deed for. Turns out, that house actually belonged to her mother. The other fraudster was Jethro Chappelle Jr., a man who visited the City Register’s office in Manhattan last Thursday to ask why the city had not yet recorded two deeds he’d previously filed. Spoiler alert: the delay was due to the fact that he’d actually filed deeds for abandoned buildings in Harlem. Previously, committing deed fraud was quite simple. 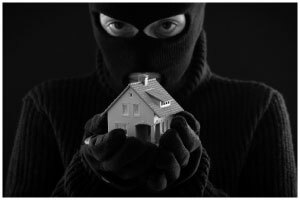 Fraudsters would sometimes work together with corrupt notaries public or even just look up property records online, and then forge property deeds to take ownership of a home that actually belonged to a family member or a building that had been abandoned. The Finance Department finally realized that they had to do something about this problem when a local news report spotlighted two cases of deed fraud in Queens, and a new effort to flag suspicious claims in the deed transfer process began in June. Now, whenever a discrepancy is found in a filed deed, the register’s office will forward their suspicions to the sheriff’s office. Since mid-June, the New York sheriff’s office has received 68 referrals, involving over 100 pieces of property that range from as little as $40 to as much $50 million. When these fraudsters prey upon the properties of vulnerable individuals and the fraudulent deed is successfully processed, the only course of action that the rightful owner can take is to hire a lawyer and go through a long, arduous legal process to try and get their property back. Thanks to the news report that finally shone a spotlight on deed fraud, the government is keeping a watchful eye out for any potential fraud cases and attempting to put a stop to them before it’s too late. Now, it’s your turn to keep a watchful eye and prevent any fraud from occurring in your workplace. All you need to do is incorporate a strong compliance system with an ethics reporting system to empower your employees to speak up against potential wrongdoing. And have a read through our fraud prevention checklist. An independent ethics reporting system like Whistleblower Security can help promote a culture of integrity, collaboration and transparency in your workplace. With a 24/7/365 whistleblower hotline and whistleblower program, employees can be assured that all of their ethical concerns will be heard and addressed.